France’s position is clear, the country doesn’t recognize the illegal regime in Nagorno-Karabakh, French Foreign Ministry represented by the country’s Embassy in Azerbaijan told Trend on November 23. The ministry was commenting on the “friendship charter” signed earlier between France’s Alfortville municipality and Armenia-occupied Lachin district of Azerbaijan. Mayor of Alfortville municipality, MPs, municipality members, ambassador of Armenia to Paris, a “permanent representative” of Nagorno-Karabakh separatists and “mayor” of Lachin region attended the event. “The French government is not obliged to comply with the “charter” signed by the country’s Alfortville municipality,” French Foreign Ministry said. This is one of the many occasions when certain municipalities or towns of France, which are obviously influenced by the Armenian lobby in the country, clearly demonstrate their support to the illegal regime established in the occupied lands of Azerbaijan. Back in 2014, Marlene Mourier, mayor of a French town Bourg-les-Valence, made an illegal visit to the occupied territories of Azerbaijan and signed a “declaration of friendship” there. After that, the French Foreign Ministry had to make a special statement on support for the territorial integrity and sovereignty of Azerbaijan. Two years ago, the mayor of a small French town of Villeurbanne mostly populated by Armenians received the head of the separatist regime in Nagorno-Karabakh Bako Sahakyan. At the meeting they signed an “agreement” between Villeurbanne and the Azerbaijani town of Shusha, which is under Armenian occupation. In September this year, a delegation of the French town Decines-Charpieu led by its mayor Laurence Fautra illegally visited the town of Chartar in the occupied Nagorno-Karabakh and signed the “declaration of friendship” with the Azerbaijani town still under occupation by Armenia. All such instances of signing some fake documents between French and Armenia-occupied towns of Azerbaijan harm a fast resolution of the Nagorno-Karabakh conflict between Armenia and Azerbaijan. It is obvious that all such visits and fake agreements are well paid by the Armenian Diaspora in France. Actions of these French officials contradict the official position of Paris, which has many times stated it supports the territorial integrity of Azerbaijan. Moreover, France is a co-chair of the OSCE Minsk Group, which makes efforts to find a peaceful resolution to Nagorno-Karabakh conflict. 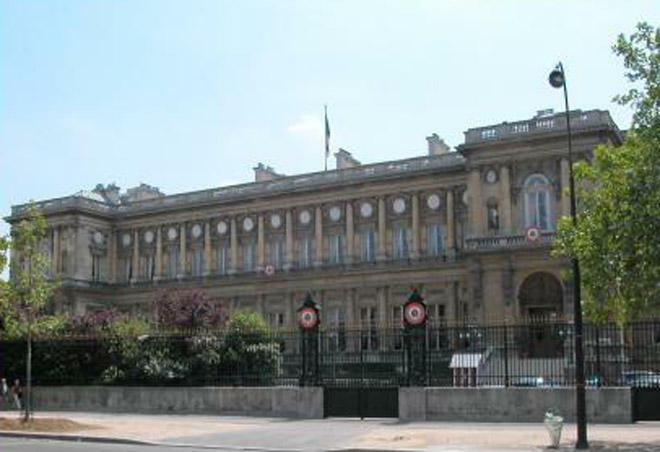 Therefore, it is unclear why the French government allows its low-level officials to violate international norms and commit such provocations against Azerbaijan. The French authorities should pay more attention on foreign relations of the country’s towns and municipalities in order to prevent any provocative action by their mayors or other members of administration. If the French government controls this, the country’s foreign ministry will not have to explain itself to Azerbaijan in future.